Mix together the cream of chicken soup, frozen vegetables, garlic powder, shredded chicken and some salt and pepper in a bowl. 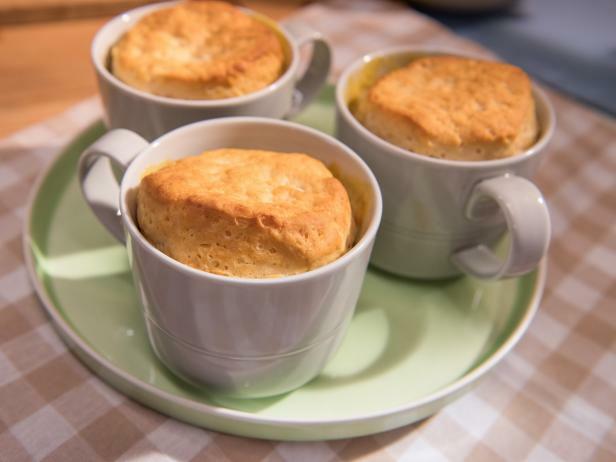 Fill 4 ovensafe mugs three-quarters of the way up with the pot pie filling and top each with 1 biscuit. Bake until the biscuits are golden brown, 15 to 20 minutes.